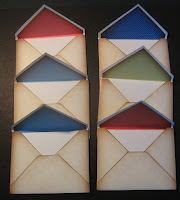 The envelopes are perfectly sized for your ATC or ACEO projects. Use them in scrapbooks and journals. 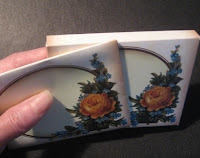 The envelo-box has a thickness of 3/8" so it can accommodate thicker inserts. Assembly instructions are also included. This set is available for immediate download. Once you purchase the set, you can download the PDF files that contains the images and instructions.